The two newest Flower City Habitat for Humanity houses were built in a unusual place. WXXI’s James Brown has the story. 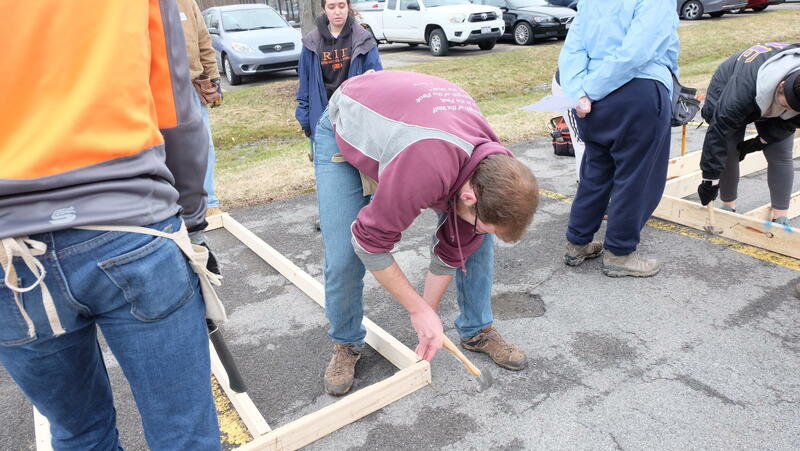 Megan O’Neil, an RIT student and president of the campus Habitat for Humanity chapter, said it’s about paying it forward. “There might be a time in in the future where I might need help from other people, and I feel that right now, I have the chance to give back, so I should,” said O’Neil. Flanigan said he plans to unveil the final product during a gala event at the Main Street Armory later this month.